We interrupt this series of balmy, beach weather posts for a quick post of our frigid and snowy fun day. Josh let me sleep in this morning while he got the girls to school, but at 7:45am, I rolled over and remembered that it was supposed to snow during the night and into the morning. I was like a kid on Christmas morning and couldn’t sleep any longer. I ran upstairs, put on some coffee and enjoyed what was happening outside the window. Snow is beautiful! When Deacon woke up and saw the snow, his reaction could cure even the worst bout of depression. His entire face lit up and he could barely wait long enough to eat breakfast before heading out into the fun snow! 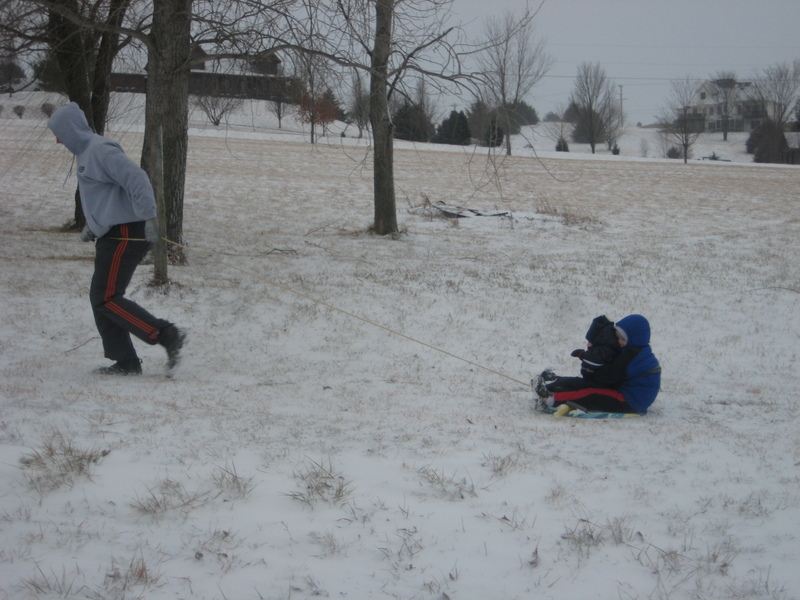 He was sledding outside by himself for a while, but then Josh joined him and I got Caleb all bundled up. He could barely walk with all that puff on him. He waddled around like the marshmallow man from Ghost Busters. He wasn’t too thrilled about all that restriction until he got outside and joined Deacon and Josh in the fun. 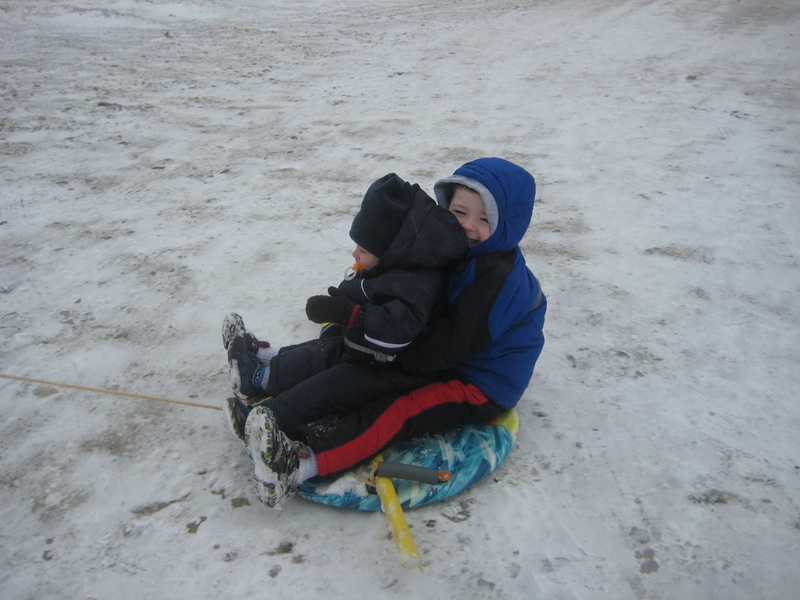 Josh put together a sled with a rope so he could pull the boys around. They were giggling pretty hard the last time I saw them. 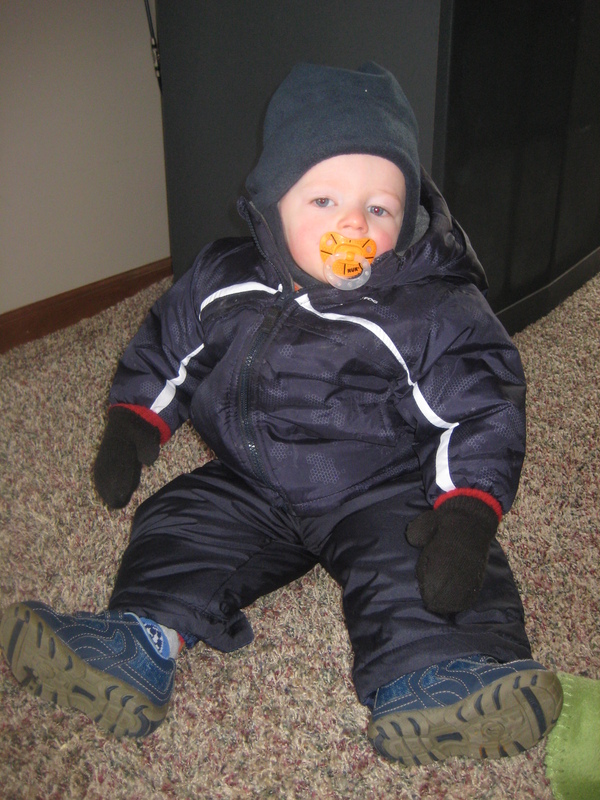 Deacon wanted to sleep in his snow clothes so that when he got up from nap, he could get right back out there. I assured him that he could definitely go back out, but he had to shed the layers for nap time. 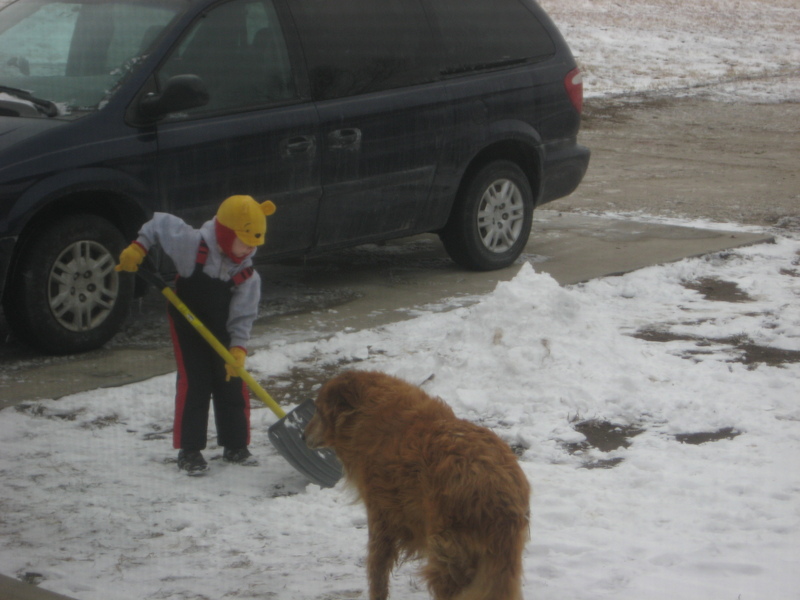 It took him no time at all to get geared up again and about 10 minutes after he woke up from nap, I saw him at work digging outside. He came in and told me how much work he had to do! When the girls got home, they joined Deacon outside and I think Josh did some sledding tricks with them too. I was on hot chocolate and hot apple cider duty inside. It’s pretty chilly out there! It’s hard to believe that a week ago today, I was in shorts and a tank! What’s for supper on a snowy night??? In the middle of this wonderful time with my family in NJ, I have a few moments to post about it all! Last Tuesday we began the trek from Kansas to NJ. We drove for about 8 hours, with some stellar snack and potty breaks. Josh knows how to make a long road trip fun! At the beginning of the trip, he gave the kids $5 each to spend however they’d like throughout the day. They all picked V8 and fruit. Not. It was two days full of candy and soda! We had to put the kabosh on drink choices after Mackenzie chugged a huge Gatorade and had to stop for another potty break 20 minutes later. We stopped for the night at the home of some great friends, with whom we spent our first years in the Philippines. It was so fun to catch up and let the kids play out some energy. The next day was our long driving day of 12 hours, made even longer by some construction. It was fine though. The kids were happy in the back seats with their activities and DVDs. We finally had to tell them to pick a different movie, because they kept just wanting to watch The Incredibles over and over! We rolled into NJ at about 10pm, just in time for hugs and kisses from Grandma and Grandpa! 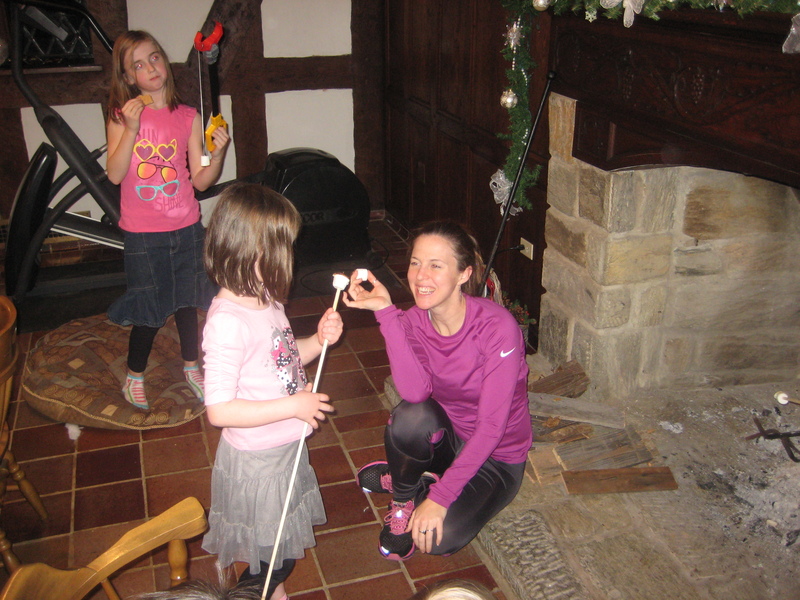 My sister and her family flew in that afternoon, so the family fun was already in full swing. 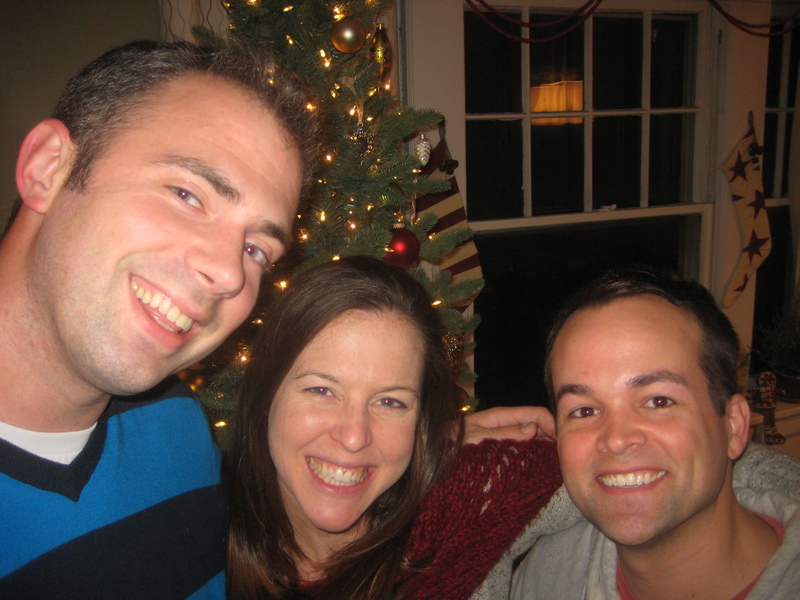 On Friday, we got to meet up with our terrific friend from college. He lives just about an hour from my parents, so he came over for dinner with my family and then Josh and I put the kids to bed and headed out to spend the night at Scot’s house. It was great to see him and catch up! On Saturday, we just laid low and let the cousins all get to know each other again. They are having such a wonderful time together! In this big house, there are tons of things to do, places to explore, things to get into…. We did have a little outing to the orchard nearby. 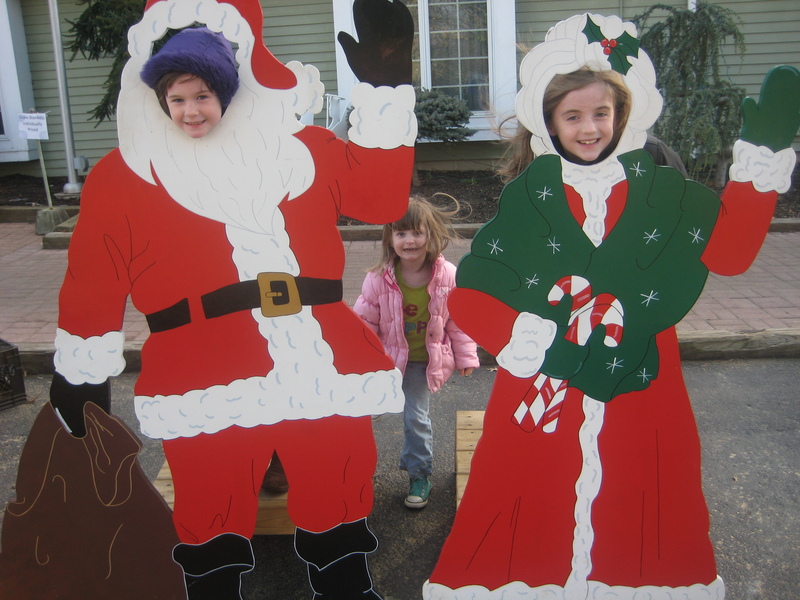 Outside, there was a Santa and Mrs. Claus photo op. 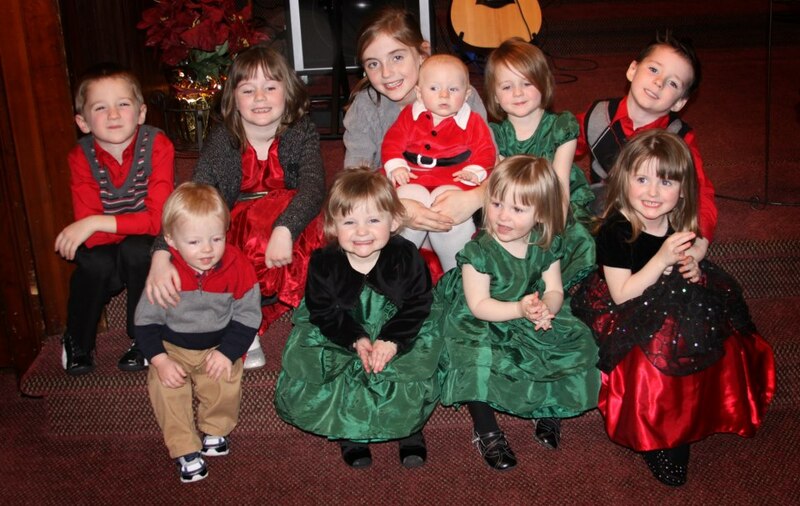 On Sunday, the kids got all dolled up in their Christmas clothes from Grandma. They were all so sweet! 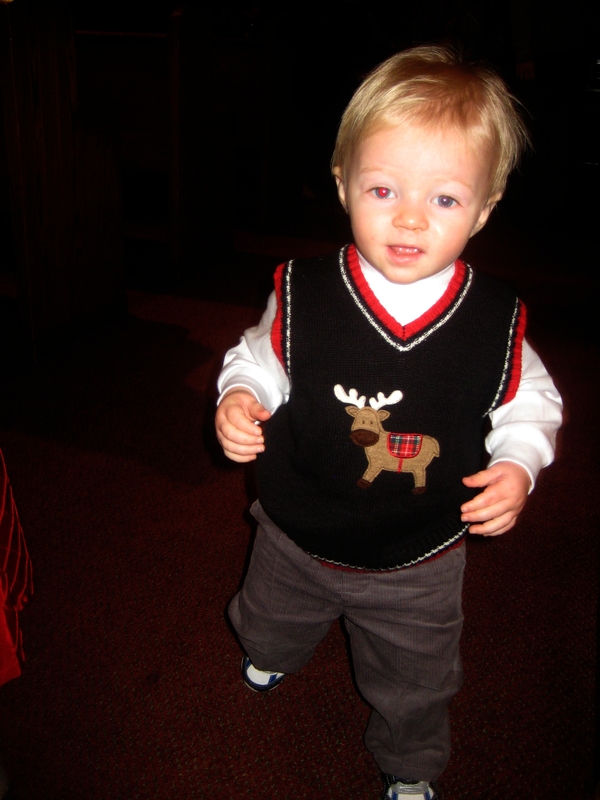 That night, we headed up to my brothers church for their Christmas program, starring Jackson as Joseph and featuring Audrey as a sheep. 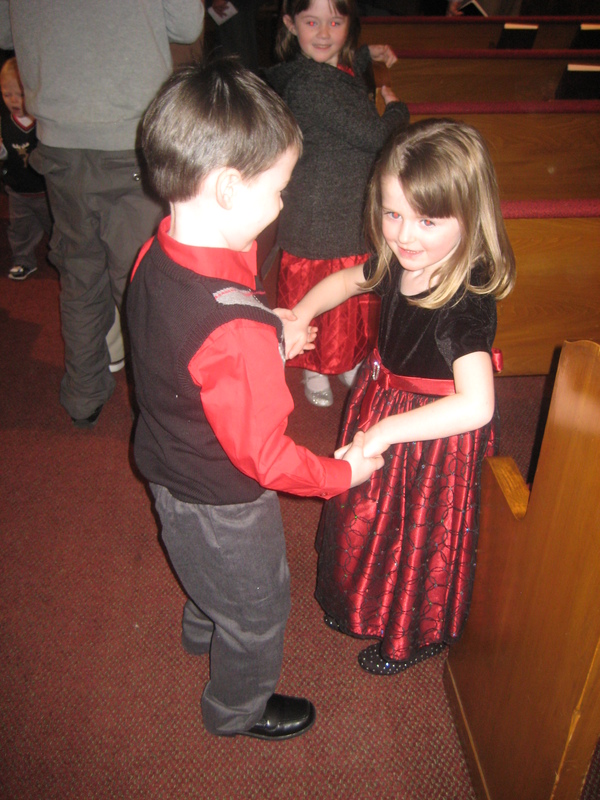 They couldn’t have been any cuter. I took pics, but they’re pretty dark, so instead of posting, I’ll leave it to your imagination. Just think of something cute and multiply it by 30. 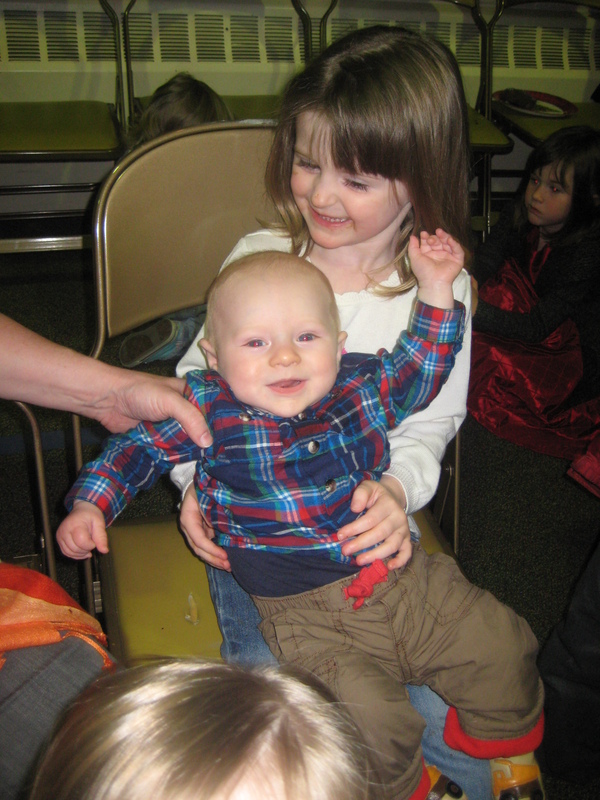 Oh, here is one of Oliver and his cousin Isla. It is so easy to get Oliver to smile! We’re having so much fun with him. My brother and his family headed back to the mansion with us, which made for a complete, full, and happy family! We’ve been having so much fun together. We’ve taken over the basement of the mansions, where there is a toy room, a big screen TV, a fireplace, a kitchen area and an elliptical. It’s perfect for everyone! My mom has the entire house beautifully decorated for Christmas and it is everything I could hope for in a holiday getaway with my family. 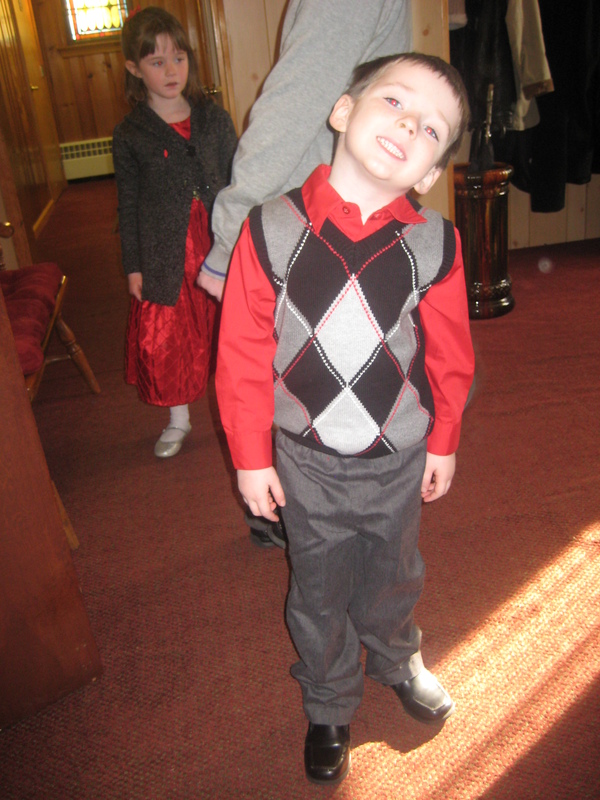 On Christmas Eve, the kids got dressed up one more time for the Christmas Eve service at my parents church. Look at Oliver in his Santa outfit! The program was terrific and they even let my kids be a part of it. They did a great job! 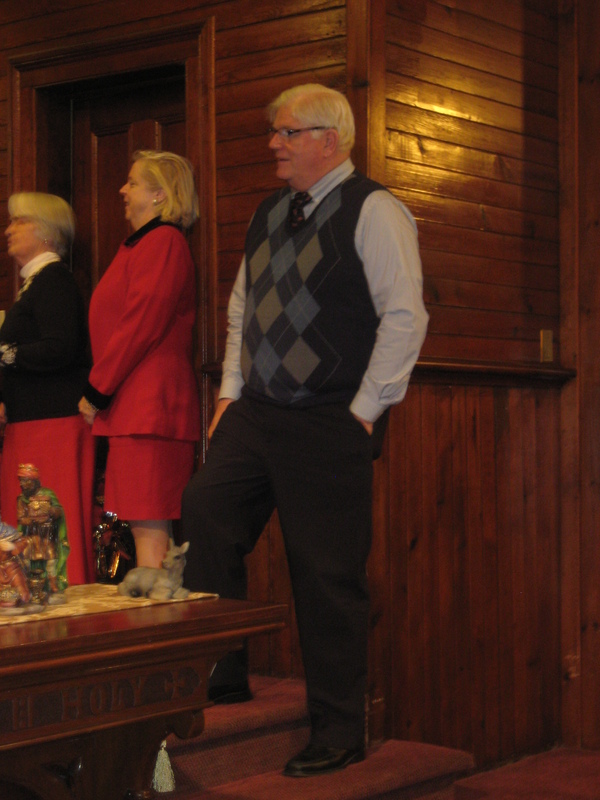 Here is a pic of my dapper daddy getting ready to sing. Kenzie got this great coat in the clothing center for missionaries! We find the best stuff down there. It’s such a blessing!! Christmas morning was wonderful! 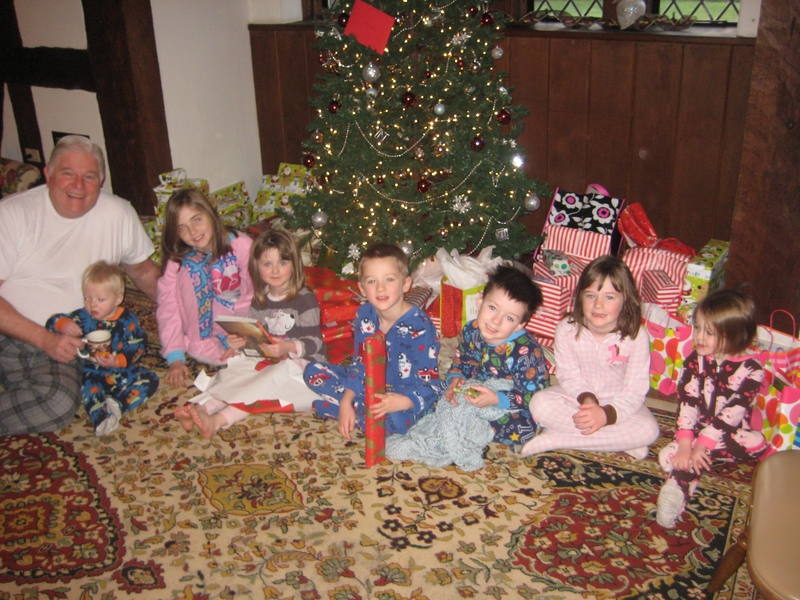 We started the celebrating at 7:30am with a pic of the kiddos in front of the tree. 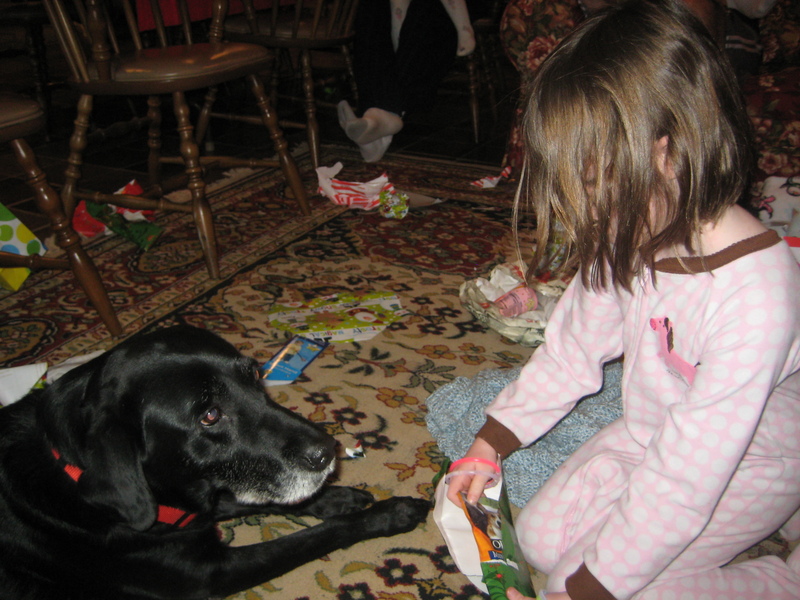 Bella wanted to make sure that Lucy had a gift to open on Christmas, so she bought her a packet of lamb chunks in gravy. It was a hit! 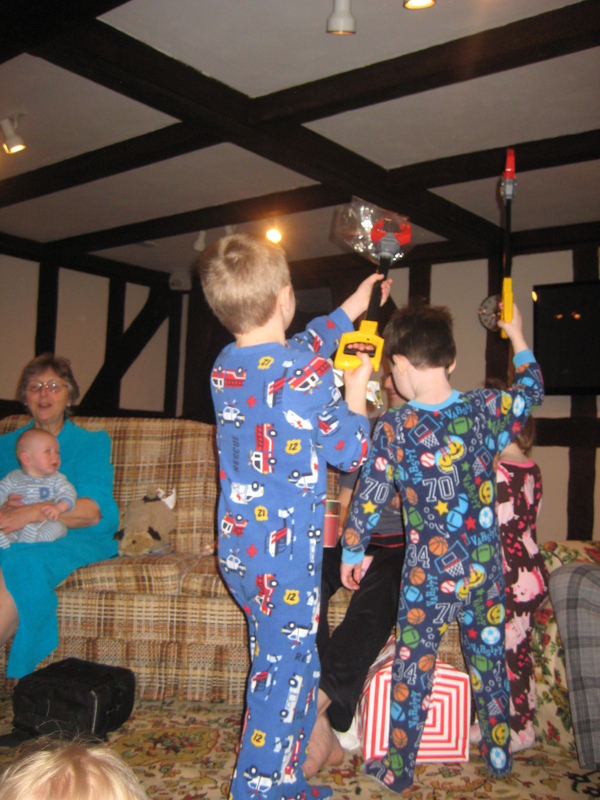 One of the favorite gifts were these $5 grabbers that Sarah got for the boys. Deacon and Jackson have had these in their hands non-stop since Christmas morning. When it was time to clean up the wrapping paper, they went to work like human dump trunks, picking up trash and carrying it over to the trash bag. 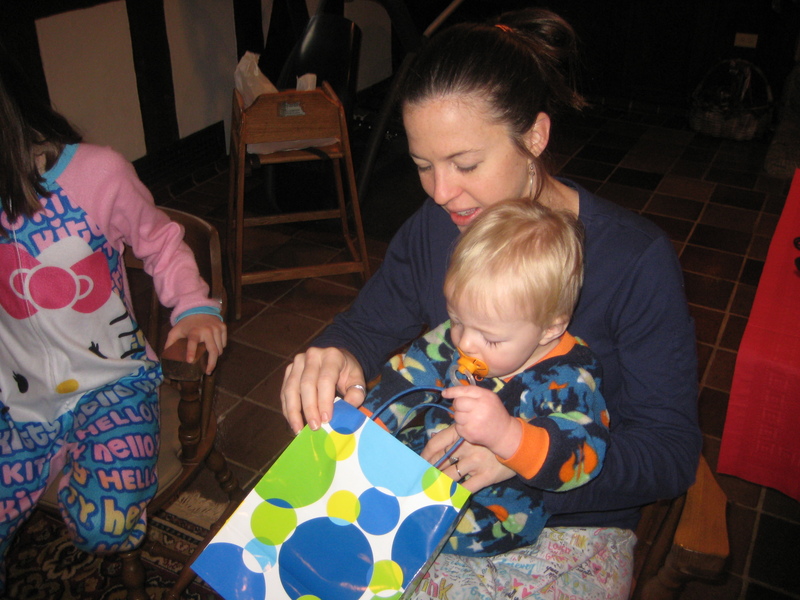 Deacon had the best reactions to his gifts. Everytime he ripped the paper off, his face would light up up and he’d scream, “Oh yeah!” Here’s a clip. After presents, we had a delicious breakfast that Sarah prepared. 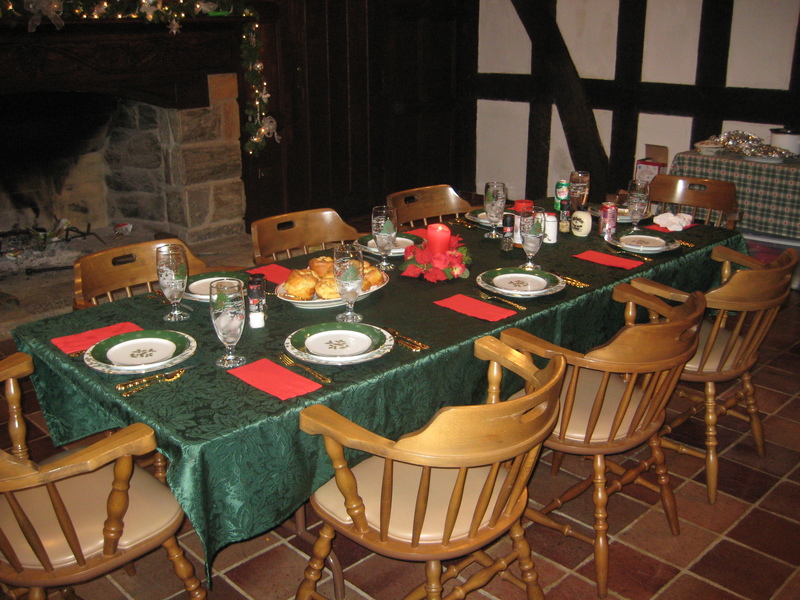 We had baked French toast, a Christmas tradition, an egg sausage cheese casserole, and fruit salad. It was de-lish. While the kids played with all their new stuff, we got to work on christmas dinner. As expected, it was amazing! Mom made prime rib, mashed potatoes, gravy, brussel sprouts, Swiss veggie medley, and my fave – Yorkshire pudding. It was one of those situations where you get mad at yourself for being full because you don’t want to stop eating! 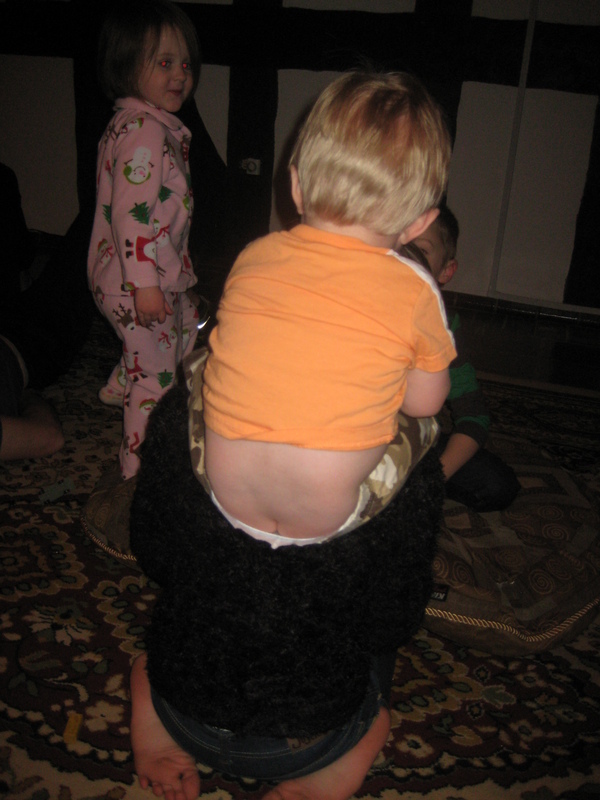 Here is a funny pic of Caleb sitting on Mackenzie’s back. Crack is whack. Since then, we’ve done a lot of shopping, eating, and hanging out. It’s been perfect! One night, we did s’mores in the fireplace. They were amazing, even if the chocolate was a few YEARS past its expiration date. Whoops! Our gift to my parents was a professional photo shoot for the family photo that my mom has been wanting for years! We were supposed to do it on Thursday, but it was storming outside, so we re-scheduled for this morning. It’s 30 degrees out, so pretty cold for pictures, but we made a game of it with kids. They were terrific and I think we got some nice photos. Even if we didn’t, the pro can cut and paste smiles on everyone! And here’s one more of smiley Oliver, just to kick off a great start to your day! 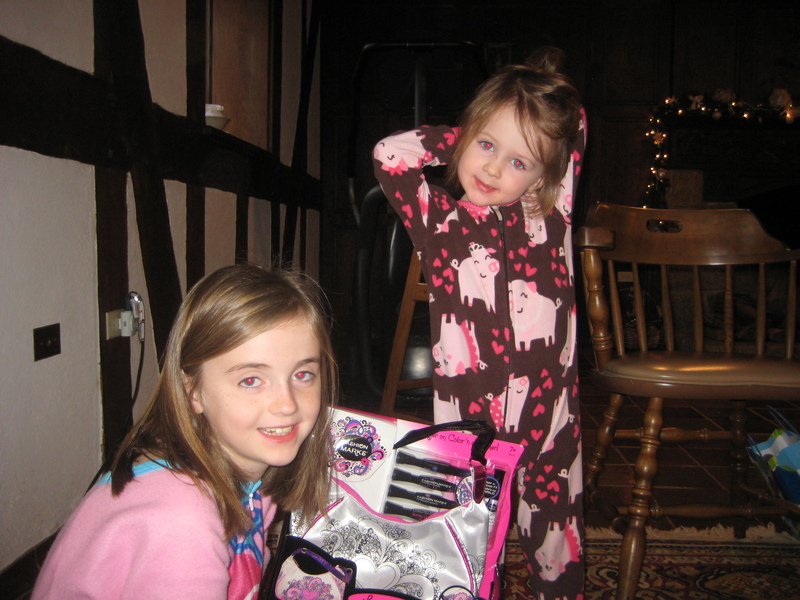 WHAT WAS YOUR BEST CHRISTMAS GIFT EVER?? ?